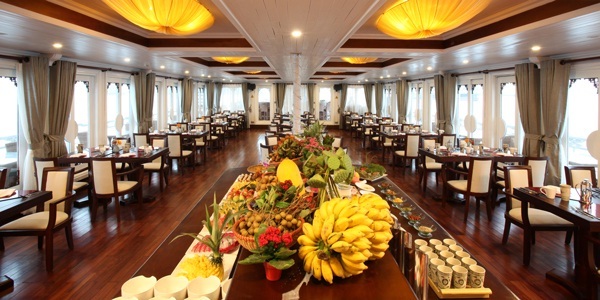 Au Co Cruise – Halong Travel. 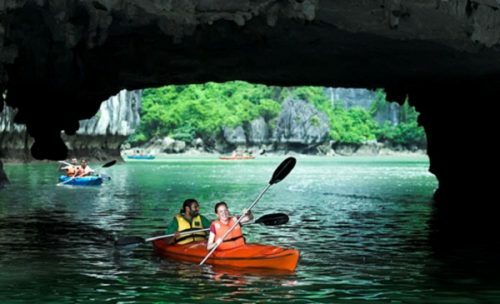 Halong Bay, in the Gulf of Tonkin, includes some 1,600 islands and islets, forming a spectacular seascape of limestone pillars. Because of their precipitous nature, most of the islands are uninhabited and unaffected by a human presence. 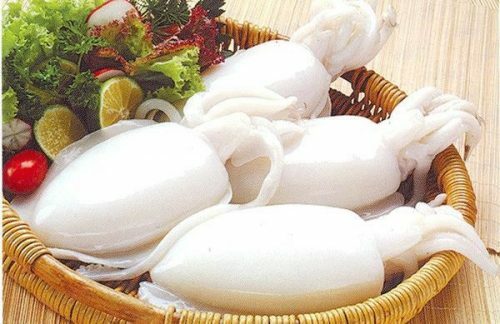 The site’s outstanding scenic beauty is complemented by its great biological interest. 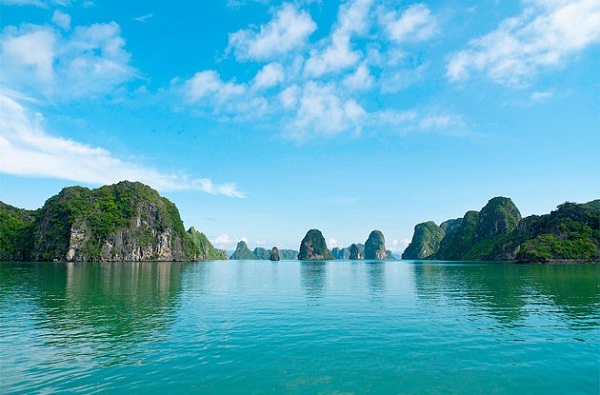 Cruise Halong Bay in style in the glamorous beauty of the Gulf of Tonkin, with its dramatic scenery, its inviting and isolated sandy beaches, and the fascinating local life to be found in its floating fishing villages is the ideal option for visitors. 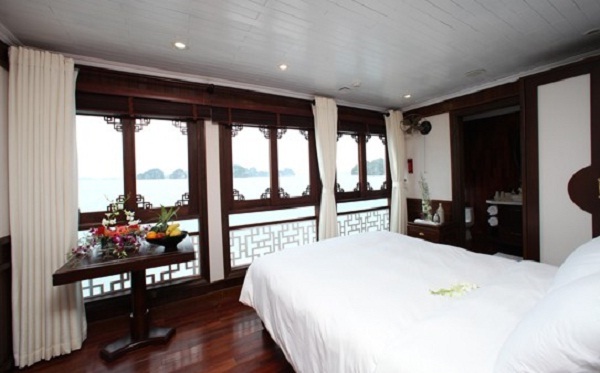 Launched in 2012, Au Co Cruise is the only cruise operator in HalongBay offering continuous three-day cruise in a single trip through the Gulf of Tonkin, covering world-renowned HalongBay, Bai Tu Long Bay, Lan Ha Bay & Cat Ba Island. The Au Co Cruise is setting new standards of safety and luxury in the Gulf of Tonkin. The cruise is a remarkable 55.29m in length and 10.43m in width. There are 14 Deluxe Cabin located on the main deck of The Au Co; 2 Deluxe Cabins at 20 square meters and 02 Deluxe Cabins at 25 square meters each are furnished in a minimal style with a choice of double or twin beds, and two lounge chairs with a coffee table. The Au Co Cruise features state of the art design in safety and luxury. 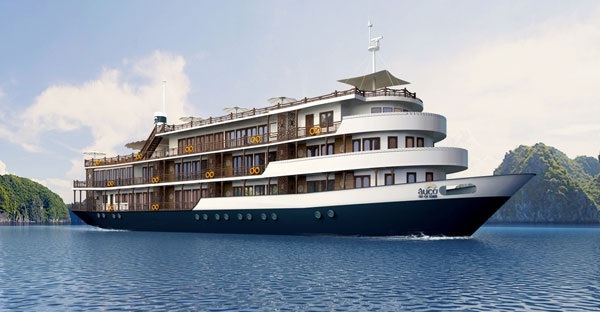 The cruise is composed of 2 luxurious ships, boasting 32 spacious private cabins each with fully equipped bathrooms and panoramic balconies.